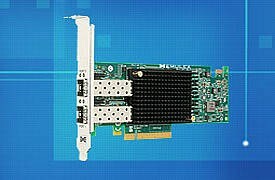 The OCe14000 family of 10Gb and 40Gb Ethernet network adapters is designed for the high bandwidth and scalability demands of enterprise applications, more scalable virtualization with support for enhanced Single-Root I/O Virtualization (SR-IOV) and NIC port partitioning, and next-generation Virtual Network Fabric (VNF) networking technologies that address the requirements virtual machine (VM) mobility and massive scaling of Layer 2 subnets inside private or hybrid cloud infrastructures. Scaling existing technologies for private or public multi-tenant infrastructures requires networking solutions that can enable VM-to-VM communication and virtual workload migration across Layer2 and Layer 3 boundaries without impacting connectivity or performance. At the same time, these solutions need to ensure isolation and security for thousands or millions of tenant networks. However, with existing technology, the available 4094 VLAN IDs are insufficient to isolate/secure each tenant in a data center (private cloud) or hybrid cloud environment. VMware’s Virtual Extensible Local Area Network (VXLAN) and Microsoft’s Network Virtualization using Generic Routing Encapsulation (NVGRE) are next-generation VNF overlay networking solutions that address these requirements. VNF solutions are a MAC-in-IP data packet encapsulation scheme enabling the creation of virtualized Layer 2 subnets that can span physical L3 IP networks. Traffic from each VM is mapped to a specific virtual network; the packets are then routed transparently over the existing physical infrastructure. 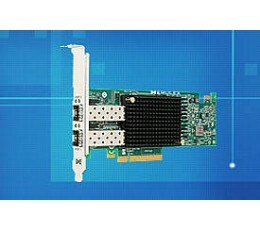 Emulex VNeX offload technology powered by a multi-core adapter ASIC engine accelerates the performance of network virtualization by offloading the header encapsulation process, while simultaneously preserving legacy stateless TCP offloads, providing full native network performance in a virtual network environment. SR-IOV optimizes I/O for VMs, enabling higher host server virtualization ratios to deliver maximum server ROI. 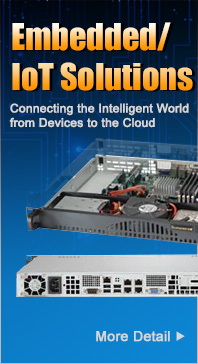 SR-IOV provides a more cost-effective solution than multiple, physical adapter ports. SR-IOV enables multiple VMs to directly access the OCe14000’s I/O resources, thus allowing VM networking I/O to bypass the host and take a path directly between the VM and the adapter, eliminating redundant I/O processing in the hypervisor. This, in turn, allows higher I/O performance and lower CPU utilization as compared to the alternative of software-emulated NIC devices that are implemented in the hypervisor. Emulex Universal Multi-Channel (UMC) allows multiple PCI functions to be created on each adapter port. As a network adapter, each port on the OCe14000 can be configured with up to four NIC functions, for a total of eight NIC functions on a twoport adapter. UMC is ideal for virtualized server environments because bandwidth allocation can be optimized to support virtual machine migration, management and I/O intensive applications. Leveraging generations of advanced, field-proven controller and adapter technology, OCe14000 adapters meet the robust interoperability and reliability requirements of enterprise and scale-out data centers. Please refer to the product page on www.emulex.com for further details. OneCommand Manager: Provides centralized management of Emulex LightPulse and OneConnect adapters in local and remote servers. OneCommand Manager enables secure, centralized discovery, monitoring, reporting, and administration of Fibre Channel and Ethernet adapters on local and remote hosts. Powerful automation capabilities facilitate remote driver parameter, firmware and boot code upgrades. Management functions can be performed with the graphical user interface (GUI) and the scriptable Command Line Interface (CLI). With in-band and out-of-band HBA management, Emulex provides data center administrators with the greatest level of management flexibility. Role-based management secures adapter administration on remote servers with privileges based on Light Directory Access Protocol (LDAP) and Active Directory (AD) group memberships. Universal Multi-Channel (UMC) management allows four NIC functions to be created for each physical port on 10GbE adapters. Adapters that support network storage will have one NIC function replaced with an FCoE or iSCSI function. Ideally suited for virtual server deployments, bandwidth can be allocated for high-demand virtual machines (VMs), cluster support, VM migration and system management. Automated installation and configuration of driver and management tools simplifies deployment of multiple adapters for Windows environments. A single installation of drivers and management utilities eliminates multiple reboots and ensures that each component is installed correctly and adapters are ready to use. Environmental monitoring helps to optimize SAN availability. Detailed real-time event logging and tracing enables quick diagnosis of SAN problems. Beaconing can be used to flash adapter LEDs, simplifying adapter identification within server racks. Management instrumentation complies with Open Management Standards, such as SMI-S and common HBA API support, enabling seamless upward integration into enterprise storage and server management solutions. Three-year standard manufacturer warranty, including telephone and e-mail support.